Creating (semi-)automated tests for WCAG is key to affordable, large scale research. The tests are designed in a way that they are useable by people with a variety of skills. The results too should be informative, not just to developers, but to website managers, policy makers and disability advocates and others. The objective of this community is to create and maintain tests that can be implemented in large scale monitoring tools for web accessibility. These tests will be either automated, or semi-automated, in which tools assist non-expert users to evaluate web accessibility. By comparing the test results with results from expert accessibility evaluators, we aim to track the accuracy of the tests we've developed. This allows for an iterative improvement and adjustment of the tests as web development practices change and evolve. It also provides the statistical bases on which large scale accessibility monitoring and benchmarking can be built. This group will not publish specifications. Last week concluded the third Auto-WCAG face to face meeting. This was the best attended meeting thus far, with 16 participants representing 11 organisations. We thank the BBC for hosting us this year, and Emma Pratt Richens who helped us organise. This update has been upcoming for some time now. Since its inception, the work on Auto-WCAG has changed in significant ways. It is no longer limited to automation, and instead, focusing on using the ACT Rules Format enables consistent testing between different testing methodologies and tools. The next step in rebranding will be to set up a new community group and start transitioning members. A subgroup of Auto-WCAG will be taking on the task of creating new guides and streamlining the workflows for writing rules. 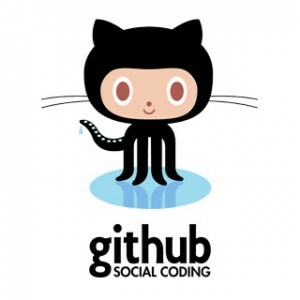 Github isn’t the easiest tool to use, especially for non-developers. With new guides, and better tooling build around Github, we are hoping to streamline this process, and make it easier for people to start contributing to Auto-WCAG. In order to maximise transparency and start track implementations of rules, Auto-WCAG will start to export its test cases using the Test Case Description Language (TCDL). Developers of automated accessibility tools use this TCDL file in their tools to validate their implementations of the Auto-WCAG ACT ruleset. If tools then output their results using the Evaluation And Reporting Language (EARL) and send those results to Auto-WCAG, we have a fully automated way to track which tool implemented which Auto-WCAG rules. Not only that, Auto-WCAG will have visibility into what parts of those rules are automated, semi-automated or manual. Once we have rules with enough implementations, we hope to have rules published as a W3C resource. This update is a bit technical. Each rule will be given a unique semi-random 6 character alphanumeric value, for example “i38ao3”. This will replace the existing identifiers, such as “SC4-1-1+SC4-1-2-aria-allowed-attribute”. The goal is to have identifiers that are not tied to WCAG, so they can remain unchanged even as rules are updated, and can be expected to be unique even with different groups contributing rules. The new identifiers will start to be used as part of transitioning from Auto-WCAG to the new ACT Rules Community Group. The Auto-WCAG Face to face was a great success! After more than 4 years of work, Auto-WCAG continues to bring together people who are trying to harmonize accessibility testing. Much has been learned over that time, and in recent months, several organisations have committed to adopting Auto-WCAG / ACT Rules into their testing environment. Tentative program subject to changes. Time is in British Standard Time (BST). Registration required – please complete the registration form before 28 September 2018 (login using the W3C account credentials that you used to join Auto-WCAG). Attendance is open to participants of the Auto-WCAG Community Group. This Auto-WCAG meeting is kindly hosted by British Broadcasting Corporation (BBC) with support from the WAI-Tools Project. For questions contact Shadi Abou-Zahra. In the past two months the Auto-WCAG community has been hard at work developing a proposal, for the WCAG working group to set up a taskforce to take on accessibility conformance testing. The goal of the taskforce is to harmonise and stimulate innovation of accessibility test tools such as those on the Web Accessibility Evaluation Tools List. The proposal is currently being reviewed and will be shared with the WCAG working group in the coming month. The latest version of this proposal can be found on the Auto-WCAG wiki. With close to 20 participants, yesterday’s Auto-WCAG meeting was the biggest one so far. The topic of the meeting: Should there be a standardized accessibility rules? The answer according to most participants: Yes, there should be. Together with W3C’s Judy Brewer and Shadi Abou-Zahra we have started to explore the possibilities to further harmonize and standardize rules for accessibility conformance testing. Something many participants of yesterday’s meeting iterated would be very helpful to them. As it stands today, conformance testing for accessibility is a challenge for many organizations. Figuring out if your web content meets the accessibility standard is trickier than it may sound. The WCAG 2.0 standard is extremely useful in outlining the accessibility problems people with disabilities face. However, what it does not do is provide instructions on how to consistently test for such problems. This is where accessibility rule sets come in. Unlike WCAG success criteria, which are high level and technology independent, accessibility rules would be designed to reliably identify accessibility issues in specific technologies. A major advantage gained from such rules is that many can be entirely automated. This makes them ideal for continuous integration testing. Automated testing is simply faster and resolving issues found this way is more cost effective. Then there is the problem of accuracy. If a rule incorrectly identifies an error (for example, because there is an alternative it could not detect), this can significantly frustrate the development process. Many such rule sets currently exist, but those rules often disagree with each other for a variety of reasons, such as differing views on accessibility and overlooking creative solutions to accessibility problems. Our hope is that the accessibility community can pull together on this question, so we can better integrate our work into common practices of web development and feel confident about having done so. After almost two years of working on our W3C wiki, we have decided to start moving our work over to Github! Over the past few years many of us have worked with Github, and we have found it to be an amazing tool for community collaboration. Github is going to make it easier for people to review and contribute to our work, which we hope will improve the harmonization process. Another great Auto-WCAG meeting has completed. We were happy to have David Berman contribute to our meetings for the first but hopefully not last time. Several things were worked on during today’s telco. Auto-WCAG is looking for better collaboration with the outside world. Because of that we’ve decided that we are going to explore new options for collaboration with each other and with all of you. Fresh off the press is our newest test case: SC2-4-7-focus-in-viewport. This test case is designed to check that when elements receive focus, they are displayed on the page. It ensures that things like skiplinks, that are often hidden on default, are positioned on screen once they receive focus. IBM has released new functionality to it’s Digital Content Checker. The DCC is IBM’s cloud based accessibility service. The new update has also made local testing possible in order to improve the security of the content being tested. Yesterday was the first of our monthly auto-wcag telcos for 2016. We have happily concluded that the work of 2015 have been well received, including by the commission of the European Union who helped us fund the launch of this lovely initiative. And lastly but no less important we feel that auto-wcag should be the place people look towards for the latest information about tools available on the market. We would like to thank everyone who has participated to our community effort the past year. As for now, time to get to work. Happy automating! Web accessibility evaluations can serve a number of different purposes ranging from quality assurance and error repair, individual reports and awareness raising, to benchmarking and monitoring. Many people who would like to know the accessibility status of a web page aren’t experts in the field. In such situations they rely on tools that produce reports about (potential) errors. Only some aspects of the Web Content Accessibility Guidelines (WCAG) 2.0 can be checked automatically. The majority of Success Criteria require human judgment. The W3C Automated WCAG Monitoring Community Group is developing a new approach to involve non-experts in the data collection process for an accessibility study. By combining the benefits of automated and manual testing we aim to improve both the quality and the coverage of evaluation results. Human intervention is needed in web accessibility testing because automatic testing alone cannot cover all aspects of WCAG. Many of the tools mentioned on the W3C Web Accessibility Evaluation Tools List acknowledge that fact and report issues that can’t be tested automatically as “warnings”or “potential problems”. The main target audience of these tools are web developers. The tools are intended for use during the creation of a web site and for subsequent quality assurance. This leads to some limitations: The output of the tools contains a lot of technical terms such as HTML element names and references to technical documentation such as the Techniques for WCAG 2.0. Therefore the tools can only be used by persons with web development expertise. Moreover, repair instructions like “Ensure that the img element’s alt text serves the same purpose as the image.” are targeted towards improvements of the web content, and are not appropriate in the context of monitoring and status reports. The WCAG Evaluation Methodology recommends involving users with disabilities in the evaluation of a web site. However, if this is done in an informal way without controlled setting, the results are often biased because personal opinion, individual expertise, or other factors influence the result. Especially the level of expertise of the user has a strong influence on the accuracy of the results. This leads to the conclusion that evaluators should be grouped by their level of expertise rather than by type of disability. Clearly worded questions could lead to better answers from all users with little knowledge of web accessibility. The objective of auto-wcag is to create a process with clear structure and instructions that are easy to understand so that even non-experts can follow. Standardized questions reduce the influence of individual opinion. A clear wording and predefined answer options instead of general statements or repair instructions lead to higher quality answers and thus to more reliable results. Each auto-wcag test case consists of a selector and one or more test steps. There are automatic steps, which can be done by a tool, and manual steps, which require human input. The manual steps describe tool support and instructions for non-expert users. Tool support can include highlighting the test subject, presenting alternative content that is not directly visible without special settings in the user agent, or providing other specific presentations of the content. These features allow the users to focus on the test subject. The users don’t have to identify the relevant item on the page and the distraction caused by irrelevant items it reduced. Clear instructions and additional help text enable non-experts to answer the questions as well. The template also captures two additional properties of the test steps: the requirement of interaction and the consideration of context. The original content and the (programmatically determined) alternative content are presented alongside each other. The question asks if the alternative describes the original content. This type applies to all kinds of non-text content such as images, audio and video as covered by Success Critereon 1.1.1 Non-text Content and Guideline 1.2 Time-based Media. For example, a paragraph of text is presented together with the programmatically determined language, the user is asked if the language is specified correctly. The web content (or parts of it) is presented to the user in a specific way. For instance with resized text or in linearized form. The questions address features and problems of this presentation. This type applies for example to 1.4.4 Resize text: The text of the web page is resized to 200% and the user is asked if all content is still present. The complete web page is presented to the users. In this type of test the user is instructed to interact with the web content and to make a statement about the operability. This type is used to check Success Criteria addressing operability. Moreover the behavior of focus, input, and error handling can be covered. For example, the user is asked to move the focus around the web page with the keyboard and to answer the question if the focus got trapped in any component of the page. So far we have covered semi-automatic tests where the tool can determine applicability and present the preprocessed subject of the test to the non-expert user. However, there are also cases where applicability cannot be determined automatically and the user acts as a manual selector. In this type of user input the user is asked to identify content items that might cause accessibility barriers, such as use of color or other sensory characteristics to reference elements of the web page. It can also be applied to instances of flashing and auto-updating content that can’t be controlled by the user. For example, users could be asked to identify moving, blinking, or scrolling content that plays automatically and cannot be paused. Some participants of the auto-wcag community group are currently implementing the prototype of a User Testing Tool based on the questions developed in the structured approach described in this post. The tool runs in the user’s web browser and connects to a database storing the user input. The data can then be combined with the results from other (automatic) tools to create a report about the evaluated web content. Annika Nietzio is a web accessibility expert working at Research Instistute Technologie and Disability in Germany. In the EIII project she is exploring new ways to combine the results from automated and manual web accessibility evaluations. The focus of the workshop was to examine how accessibility testing can be automated and writing of automatic tests. Eleven experts have shone their light on the field of automated accessibility testing. The workshop was held in Utrecht, Netherlands. Accessibility Foundation was the host. The eleven accessibility experts have worked hard to examine how accessibility testing can be automated. The latest developments in the field were discussed and further explored. There were also exploratory talks with the W3C for a closer cooperation. In small groups, several test cases where examined and elaborated. The written test cases were then been reviewed and discussed by the group. Elements such as audio and video, longdesc attributes and the use of color are examined. Besides the writing of test cases there were also user feedback sessions. Eric Eggert (W3C) led these sessions to test a new W3C WAI tool. Participants of the workshop gave in sessions of 20 minutes their feedback. Every day there was an inspiring presentation. On the first day Shadi Abou-Zahra (W3C) told us everything about EARL. On Tuesday Eric Velleman (Accessibility Foundation) gave us insight into the Website Accessibility Conformance Evaluation Methodology (WCAM-EM) document. From California Jesse Beach (Facebook) gave, on the last day, a presentation about QUAIL 3 and open source automated testing. Many components in the field of automated testing have been discussed and various test cases have been written. We worked on 15 test cases, 10 criteria have been addressed. Two test cases have been completed, and six test cases will have a final review in the coming weeks. After three productive days we can conclude that this workshop was a success.